While prepping dinner, I glanced out the kitchen window to see a big orange full moon floating off to the east, obscured by winter-bare branches. This was the first clear night we’ve had in ages. Dinner could wait. Grabbed a couple of cameras and the truck keys (after having to run back inside to grab the memory cards that were still in the readers and briefly consider bringing a monopod) and flew west along the ridge to a higher, more tree-free vantage point. Dinner was a few minutes late, but after savoring a sight like that, there were no complaints. 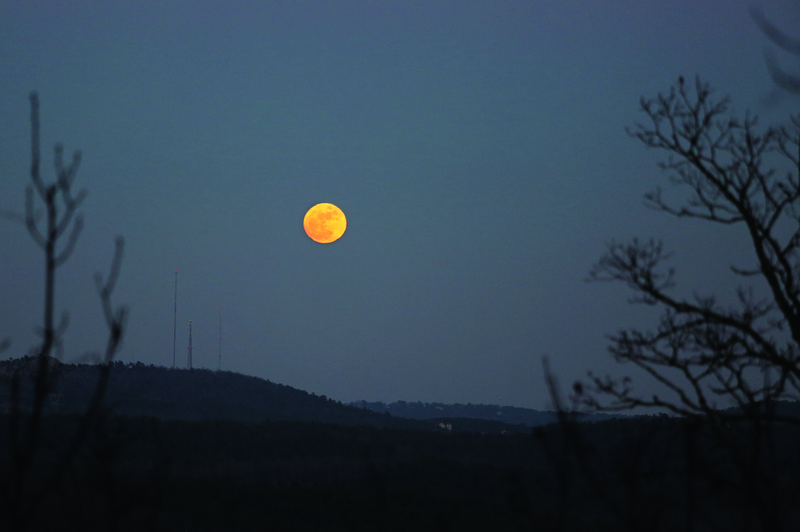 FULL MOON RISING OVER LITTLE ROCK’S HIGHEST POINT, SHINALL MOUNTAIN. TAKEN JAN. 4, 2014. RED IN THE MORNING – Beautiful fall sunrise. Taken Dec. 10, 2014. 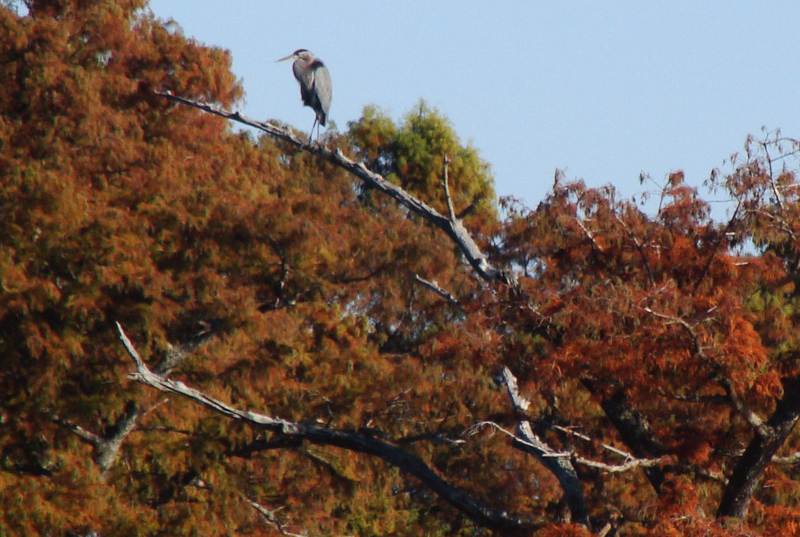 WATCHING – Blue heron stands sentinel atop a cypress in a lake near US 70 east of Little Rock. Found this rather intimidating looking fellow trying to do the backstroke in a bit of water that had accumulated on the deck. 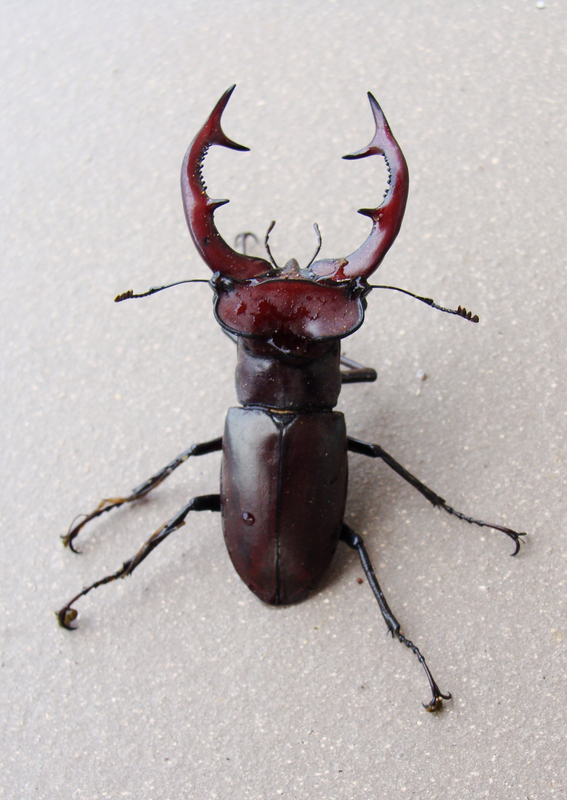 If he is a giant stag beetle, then this is a rare find in Arkansas. Raising his rack. This beetle looks like he means business. 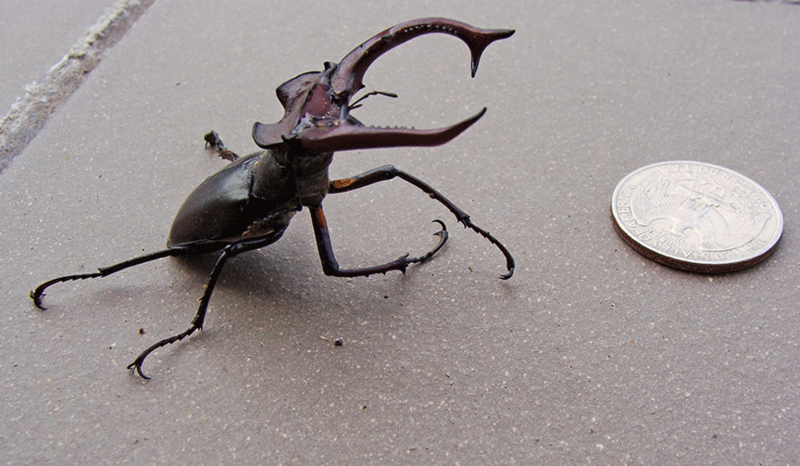 Size compared to a quarter. May is usually a little late for “snow birding” bald eagles, but this late-stayer was a welcome sight nonetheless. 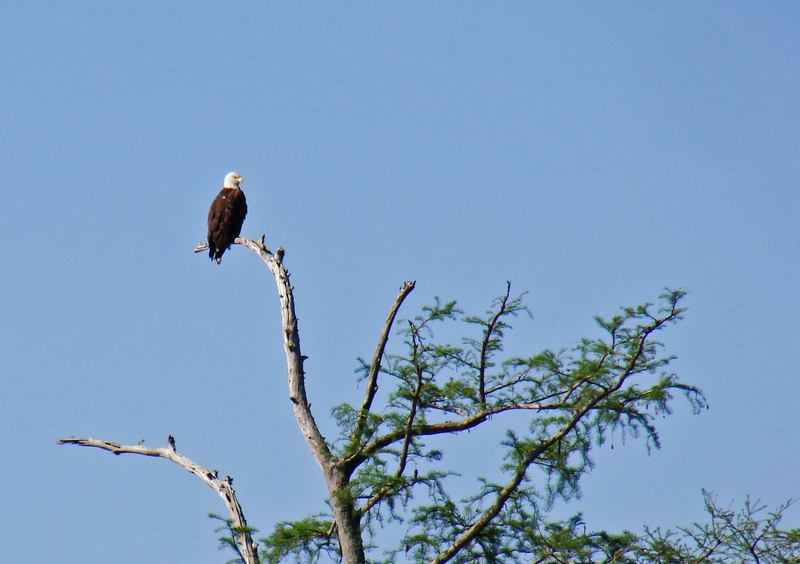 He sat atop a tall cypress in the middle of an old Arkansas River oxbow within sight of Little Rock’s skyline. Such a treat! On the lookout for his next meal. Typically cars aren’t thought of as tools for creating art. Sure, Top Gear‘s Jeremy Clarkson used a Formula 1 race car to shoot paintballs at a canvas, and BMW ran a new M6 with ink sprayed on its tires to make promotional postcards, but one would never mistake, say, a Porsche for a paintbrush. However, pointing the lens out the window at (um, yes officer sir, we were traveling the) speed limit, can create a delightfully impressionistic pastel effect, with lovely distortions and blending. This is the same Interstate 40-side rice field as seen in this earlier shot, taken at a somewhat slower speed. RACING — past a rice field in mid-harvest. 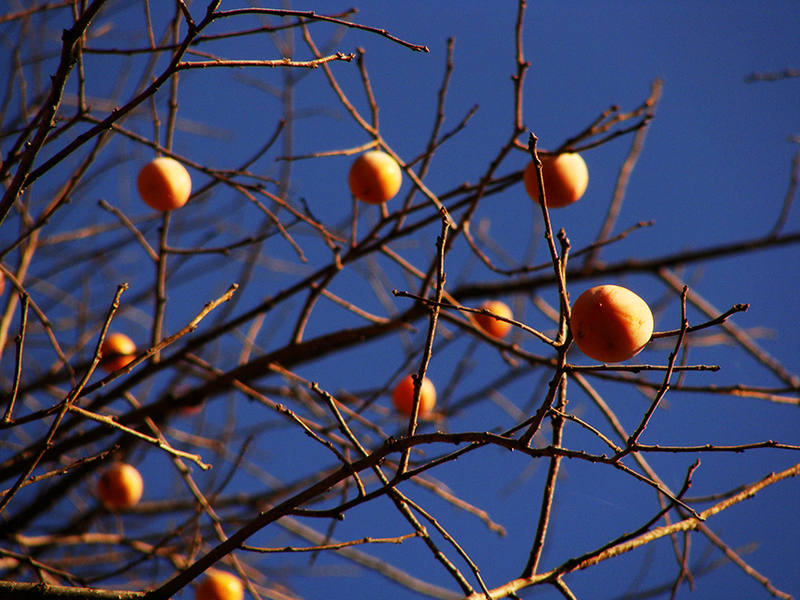 The leaves are long gone, but dozens of sweet juicy persimmons hang tantalizingly in the tree’s branches. Some raccoons will climb to get the lower hanging fruit. The rest will just wait for the wind to do the work for them. Sweet autumn treats could be a windfall for some lucky raccoon. These are the same fruits that produce the “magic” seeds that are used in folkways winter predictions. 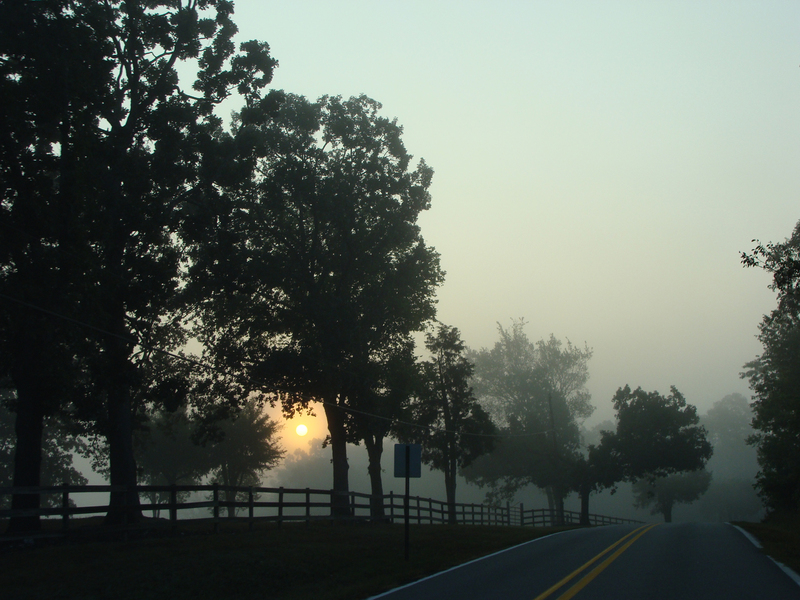 Veils of mist covered low-lying areas all over the Ozarks and Ouachitas this morning, following a day and a half of rain. Fog hovered near a rice field bordering I-40 in the Arkansas River Valley. Folk wisdom in the Ozarks declares that for each day of fog in the fall, there will be a day of snow in the winter. Read about other variations on folk wisdom winter predictions. Fog and slanting light made for a moody image. 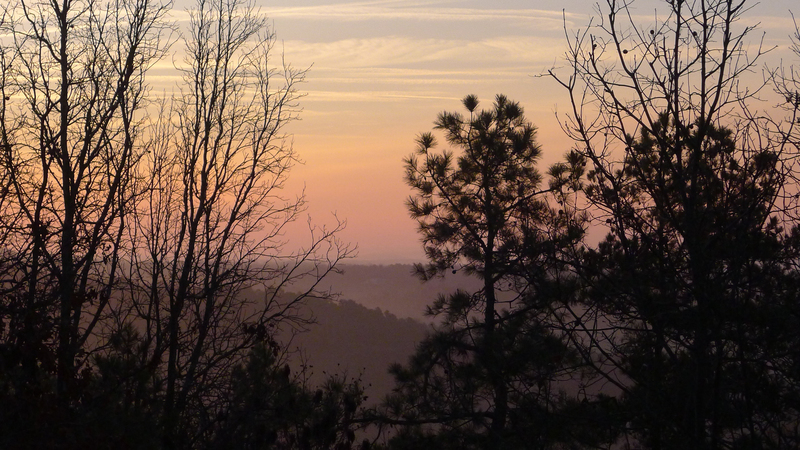 Mist left by the previous evening’s rain made for a beautifully soft sunrise. One of the nice things about carpooling with my husband is that he drives and I can shoot. Sun peers out from between the silhouettes of tree canopies and fence line. 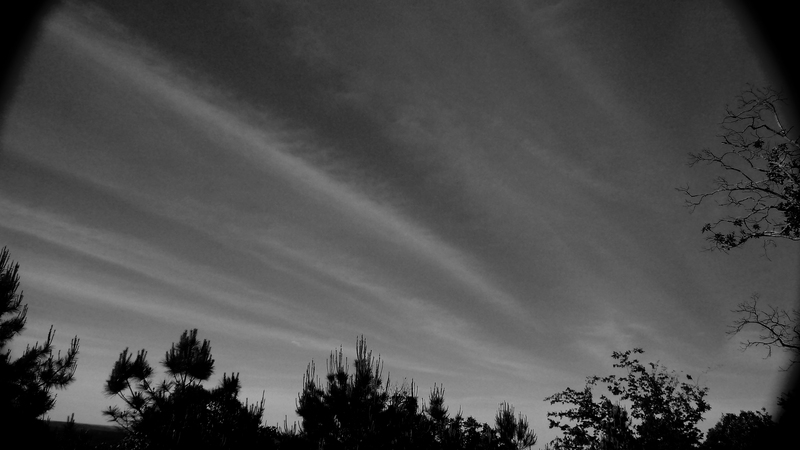 Of course, these are not truly black and white, having been shot in living RGB on digital point n’ shoot. When framing a shot for eventual conversion to black and white, or specifically infrared-ish, there is still the challenge of evaluating the color and contrast in the viewfinder and filtering it through your brain, hoping the resulting image will match your ambitions. The first lesson I had in this area was in the pre-digital days. As wire editor for a newspaper chain, I’d watch as The Associated Press LaserPhoto machine spit out, on a special paper, color photos as color separations. There were four images for each photo and though they were black and white, each represented the yellow, black, cyan and magenta components of a full-color image. When aligned correctly and run through a four-color press, magically, a full color image would appear. When shooting through an RGB device, your imagination has to substitute for those CMYK separations — taking it a step further and using only three mental filters, red, green and blue. Of course, if your image doesn’t meet your ambitions, there’s probably a fix in Photoshop. 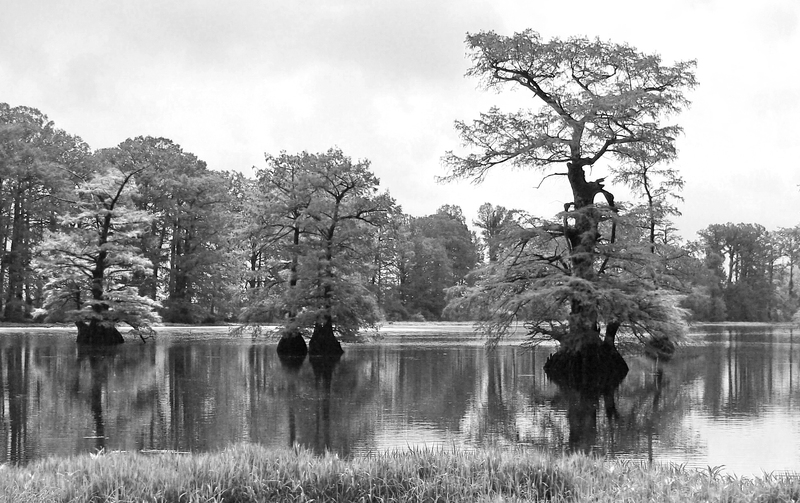 Cypress growing in a lake near the Arkansas Forestry Commission nursery east of Little Rock. Clouds spread out like rays from the north. This was originally shot for this weekend’s In the Background photo challenge, aiming for a little bird in a tree in the background. Once downloaded, the clouds just leapt from the frame. The bug in the gray flannel suit.